Echoing E. E. Miller's observation about Tennessee's frontier roots, Carl S. Driver noted in his biography, John Sevier: Pioneer of the Old Southwest, that Tennessee has had "no real state hero since the pioneer days. The list began with John Sevier and ended with Andrew Jackson." 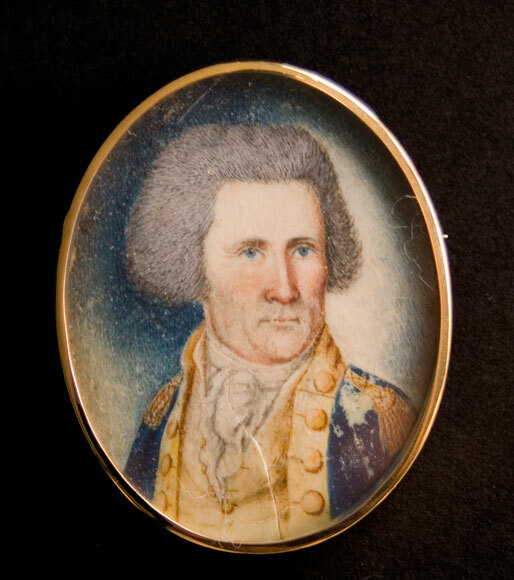 Miniature portrait of John Sevier by James Willson Peale. Indeed, the Volunteer State has had no larger political figures in its history than "Nolichucky Jack" (Sevier) and "Old Hickory" (Jackson). The interaction between these two men has been the subject of considerable inquiry by historians. What I find particularly fascinating is how John Sevier was portrayed in the press of the day, and much later by his biographers, following their famous (or infamous, depending on your perspective) duel on October 16, 1803. The personal rivalry between John Sevier and Andrew Jackson began in 1796 when Jackson offered himself as a candidate for major general of the state militia. Governor Sevier, however, favored another person, George Conway, and helped to secure Conway's election to that post. Jackson became infuriated, but Sevier brushed the young upstart politician aside, claiming that he cared little about the charges of a "poor pitiful petty fogging Lawyer." The feud between Sevier and Jackson escalated after Sevier himself was denied the same position in the state militia by then-Governor Archibald Roane in favor of Andrew Jackson. Sevier used the political defeat as motivation to earn a second term as governor, but during the election, Sevier was greeted with charges of bribery and scandal. Andrew Jackson produced documents claiming Sevier had engaged in a massive land fraud, asserting that Sevier conspired to destroy original records of land ownership, replacing them with forged claims. He further alleged that Sevier resorted to bribery to keep the replacement quiet. Despite these claims, Sevier was successful in his campaign for governor, but he was still chafing under the humiliation of Jackson’s accusation. So when the two men encountered one another on the courthouse steps in Knoxville, Tennessee on October 1, 1803, a confrontation was inevitable. "One day they met outside the courthouse and exchanged words. Their voices rose as their emotions engaged, and onlookers gathered around. After heated words, Sevier apparently challenged Jackson to draw arms. But since Jackson carried only a cane, against Sevier's sword, he declined. The hot language continued. 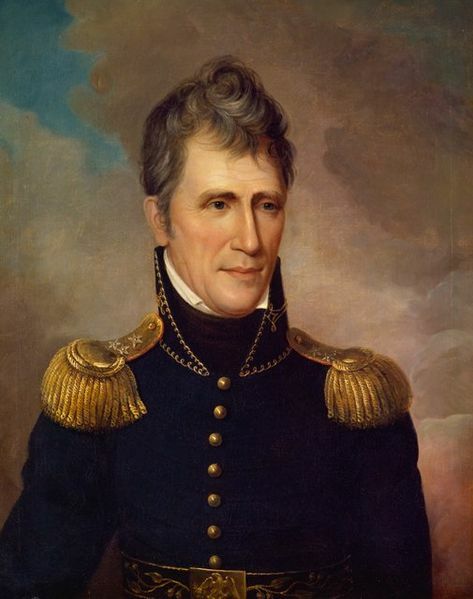 Evidently Sevier alluded to Jackson's lack of military experience before becoming major general, for Jackson defended his services to the state and the nation." "'Services?'" Sevier riposted. 'I know of no great service you rendered the country, except taking a trip to Natchez with another man's wife.'" "The ungentlemanly expressions and gasconading conduct of yours relative to me on yesterday was in true character of yourself, and unmasks you to the world, and plainly shows that they were the ebullitions of a base mind goaded with stubborn proofs of fraud and flowing from a source devoid of every refined sentiment or delicate sensation... The voice of the people has made you a governor. This alone makes you worthy of my notice or the notice of any gentleman. To the office I bear respect... As such I only deign to notice you, and call upon you for that satisfaction and explanation that your ungentlemanly conduct and expressions require. For this purpose I request an interview (duel)... My friend who will hand you this will point out the time and place when and where I shall expect to see you with your friend and no other person. My friend and myself will be armed with pistols. You cannot mistake me or my meaning." "Your ungentlemanly and gasconading conduct of yesterday, and indeed at all other times heretofore, have unmasked yourself to me and to the world. The voice of the Assembly has made you a judge, and this alone has made you worthy of my notice or any other gentleman's. To the office I have respect... I shall wait on you with pleasure at any time and place not within the State of Tennessee, attended by my friend with pistols, presuming you know nothing about the use of any other arms. Georgia, Virginia, and North Carolina are all within our vicinity... You cannot mistake me and my meaning." The stage was set and a duel was imminent. Andrew Jackson agreed to meet John Sevier saying, "If it will obviate your squeemish fears, I will set out immediately to the nearest part of the Indian boundary line... you must meet me between this and four o'clock this afternoon, or I will publish you as a coward and poltroon." The two men traded barbs in several letters over the next few days, but finally on October 16, 1803 Sevier and Jackson crossed paths as Sevier was making his way to a conference with the Cherokee Indians. Portrait of Andrew Jackson by Charles Willson Peale, 1819. The chaotic events of that day were blurred by loyalties to both parties, and chronicled by partisan newspapers representing both sides of the dispute -- a tradition going back to the founding of our nation. An affidavit signed by a witness favoring Jackson reported that after Sevier refused to accept a note from Jackson he dismounted his horse and drew his pistols. Jackson then did the same, and soon after Sevier took refuge behind a tree. According to the witness, Jackson remarked that, as both were armed, Sevier should come out from behind his protection and fire. "After some time," the witness concluded, "I prevailed General Jackson to desist, finding that General Sevier would not defend himself." "The Judge has published the Governor a coward, and for what reason? Why, because he says so himself and that the Governor would not turn out Don Quixote like, to fight a duel at the seat of government, and in the face of the General Assembly, and for doing of which was sure to have been fined, imprisoned sixty days without bail or mainprize and deprived of his citizenship for twelve months, which would have been gratification to the judge and his party, immeasurably indeed. Now, let us ask, how many hundreds of respectable characters are in this and several other states, who have been eye witnesses of the Governor's courage; where he displayed as much as was necessary to be found in the most experienced veteran? Who is it that have fought the battles of this country, and drove from its borders its numerous and desperate enemies? Who are the people beholden to for the settlement of the same? Is he not the man, whose exertions have taken from the numerous hords the savage wilds and placed thereon a rising, growing and respectable republic...? Strange indeed that after so many battles and engagements the governor has encountered that such a thing as cowardice should be imputed to him!!!" "...he (Jackson) met the Governor on the great road, armed with great rifle pistols in his hands, swearing by his maker that he had come on purpose to kill him, and that he would do it, why did not the judge fire...? I answered that at a time when the governor's horse had run off with his pistols in the holsters and was left without arms to return the fire, and of course the heroic judge had nothing to fear!" "Both were mounted, and Sevier was surrounded by about twenty horsemen. Jackson was much more thinly attended, and armed only with a cane and a brace of pistols; but, putting his cane in rest, like the lance of a plumed knight, he charged down upon Sevier most furiously. The latter dismounted to meet the assault; but a collision was prevented by the attending gentlemen, who soon pacified Jackson, and induced him to give his hand to the Governor." Gilmore's account of the scene does not mention whether or not Sevier hid behind a tree to avoid Jackson's onslaught, and seems to go out of the way to portray Sevier as a gentleman and a peacemaker. "Although Sevier was elected by the popular vote, there were those who, jealous of his popularity, tried to destroy his political favor by circulating false reports about him. They accused him of speculation in land-warrants and even of forgery... Sevier's popularity seems not to have been affected by these efforts to injure his reputation. But his indignation was aroused against Andrew Jackson, whom he had appointed Judge of the Superior Court. Jackson was of a very different temper from Sevier. Sevier's temper was fiery, but he was ever ready and eager to atone for any wrong he had done, while, on the other hand, Jackson rarely forgave an enemy." "Jackson was so bold in his attacks upon Sevier's character that the old Governor became deeply angered and used some abusive language in his speeches about Jackson. Not long after the State election, Sevier and Jackson met on the public square in Knoxville, where Jackson was holding court. A quarrel ensued and Sevier accused Jackson of having been the prime-mover of the attacks upon his reputation, and further made a reference to an incident in Jackson's domestic life, upon which point Jackson was very sensitive. Jackson tried to attack Sevier on the spot, but was restrained through the intervention of his friends. The next day Jackson challenged Sevier to fight a duel." "It seemed that a duel was inevitable; but, through negotiations of friends on both sides, matters were finally adjusted, and the two heroes were induced to join hands in friendship." "Curious dream. I dreamed my Father came descending in the air in what appeared at first like a cloud... I asked him if there was any news where he had been he answered that nothing existed there but the utmost peace and friendship, that he had heard much conversation respecting the Quarrel between Judge Jackson & myself, I then asked him if it was possible that affair had reached so far? He then replied that long before he had arrived the news was there and also every other transaction that had taken place in Tennessee -- I then asked him what was said? He told me that Jackson was viewed by all as a very wicked base man, and a very improper person for a judge, and said I have it in charge to intimate you either by dream or some other mode, that you have nothing to fear provided you act a prudent part for they are all your friends -- on his saying by a dream I began to think I was dreaming & immediately awaked." So, was John Sevier a coward who trembled at the mere thought of "Old Hickory," or was he a fearless statesman and gentleman who saw Jackson as a temperamental political opportunist? Perhaps the truth lies somewhere in between. Paul H. Bergeron, Stephen V. Ash, and Jeanette Kieth, Tennesseans and Their History. University of Tennessee Press, 1999. H.W. Brands, Andrew Jackson: His Life and Times. New York: Doubleday, 2005. Carl S. Driver, John Sevier: Pioneer of the Old Southwest. Chapel Hill: University of North Carolina Press, 1932. John R. Finger, Tennessee Frontiers: Three Regions in Transition. Indiana University Press, 2001. James R. Gilmore, John Sevier as a Commonwealth-Builder; A sequel to The Rear-Guard of the Revolution, New York: D. Appleton and Company, 1898. Harriet Chappell Owsley, “The Marriages of Rachel Donelson,” Tennessee Historical Quarterly Winter 1977, Vol. xxxvi no. 4, pp. 490-91. See also: James Parton, Life of Andrew Jackson, New York, 1860, I, p. 164. Robert V. Remini, The Life of Andrew Jackson (abridgement), Harper & Row Publishers, Inc., 1988. Francis M. Turner, Life of General John Sevier, The Neale Publishing Company, 1910.